YPF S.A. is a company widely recognized for its high quality standards relative to the values and principles it promotes. Ethics is embedded in all its activities, focusing not only on the results but also on how they are achieved. YPF S.A. expects integrity across the Organization and shall not tolerate the accomplishment of goals in violation of the laws or ethical principles. This Code of Ethics and Conduct demands the commitment of all those to whom it is addressed. These Regulations as well as any amendments thereto and any compliance exemption require the approval of the Board of Directors of YPF S.A. Besides, the Board of Directors of YPF S.A. may decide to extend its scope of application to other individuals whenever required by regulations applicable to YPF S.A. The compliance of this Code of Ethics and Conduct (hereinafter the “Code of Ethics and Conduct” or the “Code”) shall be the sole and personal responsibility of each and every Subject Person (as defined below). Upon publication of the application of this Code, no infringement based on lack of awareness or obedience to a superior officer shall be admitted. All Subject Persons are expected to adopt a proactive attitude towards potential breaches, acting either on their own initiative or upon detection of incidents in breach of the Code of Ethics and Conduct. Non-compliance of this Code shall result in disciplinary actions proportional to the breach involved, which may even lead to the termination of the employment or contractual relationship, as appropriate, and give rise to the initiation of the relevant legal proceedings. This Code of Ethics and Conduct provides a wide guideline relative to the acceptable individual or corporate behavior. However, it cannot cover all potential situations. Consequently this Code does not relieve any of the Subject Persons from the responsibility or duty to exercise their sound judgment reflecting the values and principles outlined in this Code. These Regulations together with other internal documents and instruments support YPF S.A. commitment to good corporate governance, transparency and social responsibility. The purpose of this Code is to establish the general guidelines that should rule the conduct of the Subject Persons at YPF S.A. and its subsidiaries (jointly “YPF”). 3. Scope of Application. Subject Persons. These Regulations are applicable to the Directors and employees of YPF (hereinafter “the Directors and Employees”), regardless of their geographical location, as well as its contractors, sub-contractors, vendors and business partners carrying on business with YPF (hereinafter, jointly with the Directors and Employees, the “Subject Persons”). The contents of this Code, as well as any other related policy and internal rules are in line with the international and national laws, rules and regulations governing the Company’s activity. Upon the publication of this Code, references to the specific rules and standards issued by the Company will be included in each case. The “Ethics Line” is a system for reporting, among other things, situations and/or acts that might constitute an actual or potential breach of this Code. YPF shall encourage the use of this Line and ensure that the good faith reports informed through it shall not be subject to reprisals affecting the employment and/or contractual relationship and professional development of the reporting party. The “Ethics Line” shall be supervised by YPF’s Ethics Committee, which is in charge of implementing the Code of Ethics and Conduct of YPF, and assessing and establishing the actions required to address the reported situations. The Committee will be composed of five members, three of which shall serve as Internal Auditor, Legal Affairs Corporate Vice-President and Human Resources Vice-President, while the other two will be appointed by the Chairman of the Board of Directors of YPF S.A. from among the employees discharging functions in operative or business areas. The presence of an absolute majority of its members shall be required at Committee meetings and decisions shall be adopted by a simple majority. Investigations shall be conducted by an Ethics and Compliance Officer reporting to the Legal Affairs Vice-Presidency. Any situation contrary to this Code informed by, or related to the behavior of the members of the Company’s Board of Directors shall be reported to the Audit Committee. The following situations shall also be reported forthwith to the Audit Committee: i) any situation that might have an impact on the supervision of the financial information or material events submitted to the National Securities Commission (Comisión Nacional de Valores) and the markets; and ii) any report related to the operation of YPF’s internal control, administrative-accounting and audit systems. Integrity: Maintaining an irreproachable behavior aligned with rectitude and honesty. Promoting strict coherence between corporate practices and corporate ethical values. Transparency: Disclosing true, proven, adequate and faithful information about our management and establishing clear internal and external communications. Responsibility: Assuming responsibilities and acting accordingly, making every effort to achieve these goals. Safety : Providing optimum working conditions in terms of health and safety. Demanding high safety standards for processes, facilities and services, focusing on the protection of our employees, contractors, clients and the local environment, and conveying this principle to the entire Organization. Sustainability: Developing our activities based on the principles of environmental protection and sustainable development. Human Rights: Respecting human rights constitutes a cornerstone to develop the activities of YPF, and it is committed to safeguarding such respect. The remaining Subject Persons are bound to respect this Corporate Ethical values and to act in strict compliance thereof. access to institutional programs and benefits for both genders. the disciplinary actions set forth in this Code of Ethics and Conduct. The Board’s Compliance Committee will receive and investigate all reports related to this issue, and will submit its conclusions, opinions and recommendations to the Board, the Ethics Committee and the Ethics Line, or otherwise to the Human Resources Vice President, when and as appropriate. An e-mail address will be made available for the sole purpose or receiving CODE OF ETHICS AND CONDUCT / 7 reports on this issue, which shall be treated confidentially by the Compliance Committee. The Corporate Ethical Values constitute the basic guidelines that should inspire the behavior of Directors and Employees in the performance of their duties in compliance with the principles of loyalty to the Company, good faith, integrity, respect for the law and ethical values. Besides, they enable to define the rules of conduct that should be observed by all Subject Persons in their professional performance. Although these regulations are not meant to cover all the potential situations that may arise in the professional sphere, it sets the minimum behavioral standards that should guide the actions of the Subject Persons in the performance of their professional duties. - Abiding by all municipal, provincial, national and international rules and regulations in force applicable to, and binding upon YPF, its staff and third parties. - Complying with the general conduct guidelines laid down in this Code. - Assuming responsibilities for their acts. - Following all of YPF existing policies and procedures. - Making adequate use of YPF property, time frames, equipment and other resources. The appropriate application of this Code demands that Subject Persons are familiarized with its contents, its supplementary regulations and the relevant legal provisions that may become applicable to the activities undertaken as a consequence of their performance in the Company or arising from their relationship with YPF, as appropriate. Any doubt regarding the interpretation of this Code or about how to proceed when faced with situations not specifically covered herein shall be submitted to the Ethics Committee for its consideration and clarification. Notwithstanding any other responsibility that may arise, the violation of the guidelines and rules of conduct set forth in these Regulations by the Directors and Employees shall be subject to the disciplinary actions established under the applicable labor legislation and/or any other applicable regulations. It may also result in the imposition of the penalties and other disciplinary measures specified in the documents ruling the relationship of YPF with the remaining Subject Persons. The Directors and Employees shall treat each other with respect and promote a comfortable, healthy and safe environment. Subject Persons shall refrain from any type of offensive behavior or discrimination on the grounds of religious beliefs, political opinions, trade union membership, nationality, language, gender, marital status, age or disability or any other personal distinction. Under no circumstances shall Subject Persons engage in any harassment, abuse of authority, threats, pressures, psychological harassment, or any other insulting, aggressive and hostile behavior contributing to a climate of intimidation. Subject Persons are responsible for the protection of the resources of YPF entrusted to them for the performance of their work, as well as YPF’s assets. Assets (including YPF intangible property rights, facilities, systems, communication tools and applications) shall not be used for purposes that are not directly related to the work at YPF, unless an express exception is granted by YPF. Particularly, regarding assigned IT resources, Subject Persons shall refrain from using such assets for personal purposes, including but not limited to the use of e-mail or any other form of IT communication, as well access to the Internet. YPF reserves the right to control and monitor the use of the assets assigned in accordance with the regulations in force. Subject Persons expressly acknowledge that the use of information, systems, and in particular, the Internet services shall be based on YPF’s needs and not on personal interests, and that the information they may generate or send by means of the tools and networks provided by YPF shall not be deemed confidential. The information produced and stored in YPF systems is deemed the property of YPF and therefore, YPF reserves the right to its access. Any information that may be deemed illegal, abusive or inadequate shall by no means be processed, downloaded, stored and/or disclosed. It is forbidden to download, store, copy and/or disclose, by any means, information and/or contents of any kind whatsoever in violation of intellectual property laws. Also, it is forbidden to download, install, transmit and/or use software in breach of any copyright or service. Directors and Employees may engage in financial and business activities other than those carried out by YPF provided they are legal and their performance does not generate any conflict of interests with their responsibilities as employees and/or officers of YPF. Directors and Employees shall avoid any situation that might give rise to a conflict between their personal interests and those of YPF, and will abstain from representing YPF, getting involved or influencing decisions, in any situation in which they may have a direct or indirect personal interest. They shall always act in accordance with their duties, with loyalty, defending the interest of YPF, and in compliance with the applicable regulations. Furthermore, Directors and Employees may not undertake any tasks, jobs of render services to the benefit of companies in the industry or carrying on activities that are likely to compete, directly or indirectly, with those of YPF. - Inform their direct or indirect ownership interest, whether held by themselves or through third parties and/or family members, in supplier companies, clients, competitors, contractors and/or sub-contractors of YPF. - Avoid making recommendations for YPF to engage in business activities with a company in which the employee may have a direct or indirect personal interest. - Refrain from granting to other companies, organizations or individuals undue advantages in any business transaction, being bound to adopt an impartial position. - Avoid getting involved in relations that might give rise to an actual or potential conflict with YPF, or that might otherwise have a negative impact on their own freedom of action or on the freedom of action of Director or employee of YPF. - Refrain from using YPF’s property or information by virtue of their office in the company for their own or third parties’ personal benefit or to compete with YPF. Directors and Employees who might be affected by a conflict of interests shall report this situation to the Ethics or Audit Committee, as appropriate, before carrying out the transaction or closing the relevant deal, for the respective committee to assess if the impartial performance thereof could be compromised. In the event of a suspected conflict of interests, the same is to be reported to the Ethics Committee through the Ethics Line. The Ethics Committee may delegate the reports management process, ensuring that the ethics line principle of non-retaliation will be applied in order to protect the employment and/or contractual relationship or professional development of those reporting suspected situations in good faith. Directors and Employees shall not accept, by reason of their office, any kind of gifts, courtesies, services or favors from an individual or entity that might affect their objectivity or influence a commercial, professional or administrative relationship. Moreover, they shall not, directly or indirectly, make gifts or promises to any individual or entity that has or could have a commercial, professional or administrative relationship with YPF, when these might be deemed improper in the normal course of business, and in any case, they shall be made in compliance with the law, the beneficiary’s regulations and procedures and the procedures in place at the relevant unit. The offering of gifts, incentives or benefits of any kind with the purpose of influencing the decisions made by the beneficiary is strictly forbidden. Directors and Employees shall not request or receive personal gifts from third parties who do or intend to do business with YPF. - Any gift with a market value in excess of USD 100 (one hundred United States Dollars) or its equivalent in local currency, or any items other than promotional products bearing the company’s logo or name (such as pens, watches, T-shirts with logos, small basket for Christmas, etc.) shall be returned. o Return it immediately to the third party. o If no return were possible, refer it to Fundación YPF. - All invitations received to take part in business events, conventions, conferences, commercial presentations or technical courses, shall be authorized by the immediate superior. Corporate or business gifts need to be previously authorized in accordance with the relevant Company’s process. They require the authorization of the area manager when the gift’s market value exceeds USD 100 (one hundred United States Dollars) or its equivalent in local currency. Giving or receiving money in cash, cash equivalents or assets readily convertible into cash is not allowed under any circumstance. YPF and its employees are responsible for making these criteria timely known to its clients and vendors. The provisions set forth in this paragraph shall be applicable to all the other Subject Persons. Subject Persons shall take the necessary precautions to ensure the transparent management of information. This commitment to transparent and genuine information is also applicable to the Company’s internal communication. All YPF’s transactions should be clearly and accurately reflected in its files, records and books. Subject Persons shall maintain the strictest confidentiality of any information they may become aware of and which could affect the prices of YPF securities or their trading process. If appropriate, YPF will be responsible for disclosing the relevant information. The rules applicable to information transparency in the stock markets are provided for in the Exhibit to this Code entitled “YPF S.A. Internal Regulations for Conduct in the Securities Market”. 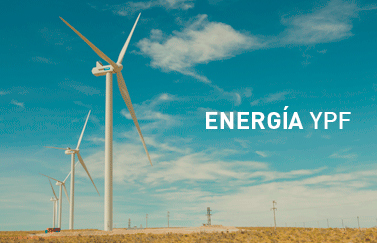 YPF is aware that information is one of its key assets and that it is essential for the management of its activities. The Company has, therefore, developed an information security policy applicable to the Subject Persons designed to safeguard the integrity, availability and confidentiality of information by means of its correct identification and classification in order to prevent its dissemination, loss and/or corruption. Any information owned or entrusted to YPF that is not of public nature is considered confidential. Disclosing, disseminating and using confidential information for personal or unauthorized purposes constitutes a breach of the duty of loyalty to YPF and may give rise to liability actions and/or the application of the respective sanctions. - To safeguard and refrain from disclosing the information to which they have access in the performance of their professional activities. - No to disclose to third parties any information, technical or IT knowledge, data, study results and statistics of any kind, save upon the prior express and written approval of YPF in accordance with the standards and regulations in place. - The Directors and Employees shall refrain from deriving personal benefits from the use of confidential information or from the knowledge of business opportunities available thereto due to their position in YPF. - To meet the requirements relative to the access to confidential information, unless its disclosure were required by the law. - The Directors and Employees who, by reason of their position or professional activity have access to information from YPF clients, vendors, directors and/or employees, shall be responsible for its protection and appropriate use. - Not to use confidential information for fraudulent purposes. The restriction on use and non-disclosing duty shall survive the termination of the employment, business or any other type of relationship with YPF. In case of doubt, any information shall be presumed to be confidential. The trading of YPF securities based on material non-public information, or furnishing this information to third parties is illegal and may lead to legal actions. The Subject Persons under this Code shall take the strictest care to protect the confidentiality of, and may not disclose, directly or indirectly, any relevant non-public information, including highly sensitive information that could affect the price of YPF securities or their trading process in the markets. Any breach of the existing policy for the management of this type of information may derive in legal actions against the person involved. The Subject Persons investing in YPF securities acknowledge being sufficiently informed about the rules that restrict their capacity to trade the same or to provide sensitive information to third parties, as well as their duty to abide by the policies and trading abstention periods that might be applicable to the circumstances being faced by YPF. Subject Persons who possess material non-public information of YPF relative to the Company’s financial results, i.e. privileged information, may not trade in YPF securities during the period starting fifteen (15) calendar days prior to the presentation of the Company’s (annual or quarterly) financial results and ending two (2) trading days following their publication. Also, they shall abstain from trading in YPF securities if they possess any other privileged information until it is made public. Subject Persons shall not engage in any deceitful advertising of YPF’s business activity and shall avoid any behavior that is or could be considered an unlawful abuse or a restriction to free competition. Upon termination of the Subject Persons’ relationship with YPF, they shall refrain from using any information obtained during the performance of their duties at YPF, including client lists and relationships. Subject Persons acknowledge and accept that any work developed for YPF, whether considered intellectual property or not, is exclusively and fully owned by YPF. Reports, proposals, studies, programs and any other product resulting from the professional activity discharged at YPF shall remain in the possession of YPF. Moreover the Subject Person no longer serving the Company shall not copy, reproduce or disclose the same without the written approval from YPF. Subject Persons further undertake to return all materials owned by YPF which are in their possession upon the termination of their activity at YPF. Subject Persons shall not directly or indirectly make or offer any payment in cash, in kind or any other benefit to any person at the service of a public or private entity, political party or candidates to public offices with the intention of unlawfully procuring, gaining or maintaining a given business or any other advantage. Furthermore, Subject Persons shall not directly or indirectly make or offer any payment in cash, in kind or any other benefit to any person with the intention of causing the latter to abuse its actual of presumed influence to conclude a deal or derive another advantage from a public or private entity. Likewise, they shall not directly or indirectly make or offer any payment in cash, in kind or any other benefits to any person if they are aware that all or part of the payment in cash or in kind will be offered or handed over directly or indirectly to a private or public entity, political party or candidates to public offices for any of the purposes mentioned in the preceding paragraphs. Subject Persons shall not make any payments in cash or deliver any items of value, regardless of their amount, to facilitate or speed up processes or to ensure the course of a procedure or action before any judicial authority, public administration or official body in which YPF is involved for the benefit or in the interest of YPF. In addition to the consequences of violating these Regulations provided in the specific paragraph hereof, and other consequences not related to employment/contractual issues, Subject Persons acknowledge that the breach of the provisions of this paragraph may cause a considerable damage to the reputation and good name of YPF. In order to prevent and avoid the laundering of money from criminal or illegal activities, the Directors and Employees shall devote special attention to cases where there are signs of lack of integrity of the individuals or entities with whom business is carried out, as well as observing their duty to comply with the applicable legal provisions. 1.1. The purpose of these YPF S.A. Internal Regulations for Conduct in the Securities Market is to define the principles and framework for action in the securities market, for directors and employees of YPF S.A. (hereinafter, “YPF” or “the Company”), as well as its statutory auditors and external advisers. 1.2. The wording of these Regulations complies ―to the extent applicable― with current regulations governing the securities markets where YPF is authorized for public offering. 1.3. These Regulations also incorporate the best practices on the matter, in order to foster the transparency and proper operation of markets and to preserve investors’ legitimate interests. a) The members of YPF’s governing body (the “Directors”). c) External advisers, for the purposes provided in Section 4. The term “external adviser” refers to any individual or legal entity rendering consulting, financial, legal or any other kind of services to YPF or its subsidiaries and, therefore, with access to Privileged Information. d) Members of YPF’s supervisory committee (the “Statutory Auditors”). a. Securities issued by YPF and its subsidiaries, which are traded or whose admission to trading has been requested, on Argentine or overseas securities markets. b. The financial instruments conferring the right to purchase or sell the aforementioned securities. c. The financial instruments whose underlying assets are securities or instruments issued by YPF or its subsidiaries. d. Securities issued by other companies controlled by YPF, which are traded or whose admission to trading has been requested, on Argentine or overseas securities markets. Any Subject Persons that have subscribed for, purchased or sold —whether in cash or credit— any of the securities or instruments referred to in Section 2.2 for their own account, shall notify the Vice-Presidency of Human Resources within two (2) days subsequent to such operation. The notice shall describe the pertinent operation and specify the date, quantity and price involved. Any non-employee Directors of the Company as well as the Statutory Auditors shall address such notice to the Board of Directors’ Secretary. The External Advisers shall address the notice to the Finance Vice-Presidency. The obligation to send this notice is without prejudice to any other obligations set forth in current regulations governing the markets where the securities and instruments mentioned in Section 2.2 are traded. a. The Subject Person’s spouse. b. The Subject Person’s minor children under parental authority. c. Any legal entities controlled by the Subject Persons. d. Any other individual or legal entity acting on behalf or in the interest of Subject Persons. The provisions set forth in Clause 6.2.8 “Prohibited periods for trading of YPF’s securities” in the Code of Ethics and Conduct of YPF S.A. shall apply to the Subject Persons, with regard to the period of prohibition for trading in the securities or instruments referred to in Section 2.2., that is, the period starting fifteen (15) consecutive days prior to the Company’s reporting of its annual and quarterly financial results and ending two (2) trading days after their publication, when the Subject Persons are in possession of YPF’s non-public and material information about its results, i.e. Privileged Information. If the Subject Persons are in possession of any other Privileged Information, they shall refrain from trading in YPF’s securities as soon as they become acquainted with such information, until it is officially in the public domain. “Privileged Information” means any specific information about the securities and instruments mentioned in Section 2.2 which is not in the public domain yet. - The financial results of YPF S.A. or of any Group companies, or unreleased financial statements. - Extraordinary changes in said financial results, or modifications of result estimates formerly disclosed to the public. - Any forthcoming operations by the Company, such as capital increase, issuance of securities, or dividend distribution proposals. - Mergers, or significant acquisitions or divestments of any kind of assets. - Any events giving rise to litigation, disputes or penalties with a potential material impact on the financial statements. - Decisions by authorities prior to their becoming public knowledge. - Other similar facts, events or situations. Any Privileged Information shall be no longer regarded as such immediately after it is made public. a. Preparing, facilitating, participating in or performing any kind of market transaction in respect of the securities or instruments specified in Section 2.2., with reference to or based on Privileged Information, for their own benefit or for the benefit of Related Persons or third parties. b. Disclosing said Privileged Information to third parties, except in the normal course of their work, profession, position or office, subject to the requirements stated herein. c. Recommending third parties to purchase, sell or transfer the securities and instruments mentioned in Section 2.2, or causing other persons to purchase, sell, or transfer them, on the basis of Privileged Information. a. Any persons in possession of Privileged Information have the obligation to safeguard it, without prejudice to their duty to report to and cooperate with judicial and administrative authorities under the terms stipulated in the applicable legislation. b. Any persons in possession of Privileged Information shall also take adequate measures to prevent the misuse or unfair use of that information. c. Furthermore, in the event of misuse or unfair use of Privileged Information, anyone aware of this fact shall immediately report it to the responsible officer. The Finance Vice-Presidency shall oversee the market performance of the securities and instruments mentioned in Section 2.2., as well as the news published or broadcast by professional reporters of economic information and the media, and which might affect said securities and instruments during the evaluation or negotiation of any kind of legal or financial operation regarded as Privileged Information (hereinafter, the “operation”). In the event of abnormal behavior of trading prices or volumes of the securities and instruments indicated in Section 2.2., the Finance Vice-Presidency shall immediately report to the Board Chairman who shall, if necessary and if there are reasonable signs that such behavior is due to premature, partial, or distorted disclosure of the operation in question, take any pertinent measures to promptly issue a public statement clearly and precisely indicating the status of this ongoing operation or giving a preview of the information to be released in due course. a. Limit the access of Privileged Information to the strictly necessary number of persons within the organization or external advisers. b. Expressly warn the recipients of the confidential nature of such information and their prohibition to use it. c. Implement security measures for the safekeeping, filing, access, reproduction, and distribution of Privileged Information. The Subject Persons in possession of Privileged Information shall strictly comply with current Securities Market regulations where YPF is authorized for public offering, as well as with these Regulations and any other applicable provisions in effect. The term “Relevant Information” refers to every fact or situation that, in view of its significance, might materially affect the placement of securities, their trading or the conduct of the Subject Person’s business. The concept of Relevant Information equally includes any information whose knowledge might reasonably influence an investor to acquire or transfer securities or other financial instruments, with the consequent material effect on their trading on a secondary market. YPF hereby undertakes to immediately inform the market through a notice addressed to the National Securities Commission (Comisión Nacional de Valores – CNV) as well as to any pertinent entities according to the markets where YPF’s securities are traded, of any Relevant Information concerning the Company, in compliance with applicable regulations. Where appropriate, YPF’s Internal Transparency Committee —created by the Board of Directors and composed by the Company’s senior executives— shall take cognizance of this situation and proceed accordingly. Any Relevant Information conveyed to the market shall be accurate, clear, quantified and complete, and shall not be confusing, misleading or deceptive. When the Company believes that any Relevant Information should not be made public because its disclosure might impair the corporate interest, it shall immediately request the CNV to relieve the Company of its reporting obligation to investors, pursuant to the Capital Markets Law No. 26,831, the CNV’s rules and any other applicable legislation. The determination and execution of specific plans for the acquisition or sale of YPF S.A.’s shares shall conform to the provisions of Law 26,831, the CNV’S Rules, the Business Companies’ Act and any other amending, supplementary or regulatory provisions on the matter and any other rules governing the markets where the Company is admitted to public offering. YPF’s Investor Relations Management – Finance Vice-Presidency shall issue the pertinent official notices about the Company’s transactions in its own securities, as required by current provisions, and shall keep an adequate control and record of such transactions. Subject Persons shall refrain from preparing or conducting practices that falsify free pricing, and from those stipulated in Section 117, subsection b) of Law 26,831 and Section 2, Chapter III, Title XII (Listing Transparency) of CNV’s Rules (as amended in 2013), and any regulatory or superseding provisions thereof. This term encompasses practices and behaviors aimed at or allowing for the manipulation of prices or trading volume of securities, thereby altering the normal development of the supply and demand, and any other practices capable of misleading market participants, in respect of the purchase or sale of any listed securities, whether by means of artifices, false or inaccurate statements omitting basic facts or any act, practice or course of action with deceptive and detrimental effects on any person operating in the market. In order to control any potential conflicts of interest, all Subject Persons shall inform the Ethics Committee and/or the Audit Committee (in the case of Board members), before conducting any transaction or concluding any business, with sufficient time in advance to enable the timely implementation of adequate measures, regarding situations that might potentially, and in each specific circumstance, give rise to a conflict of interest with YPF or any subsidiary and/or affiliate, by virtue of said Subject Persons’ activities outside YPF, or those of their relatives or acquaintances, their assets, or for any other reason, and that might compromise their impartial performance. The Subject Persons shall refrain from participating in situations that might give rise to a conflict between their personal interests —and/or the interest of Related Persons— and YPF’s interests. The Subject Persons shall also abstain from participating in or exerting influence over decisions regarding situations where a personal interest is at stake, whether directly or indirectly; in all cases, the Subject Persons shall act loyally toward YPF. These Regulations shall become effective upon the entry into force of the Code of Ethics and Conduct of YPF S.A., to which these Regulations are appended. The Regulations shall be periodically reviewed and updated in order to take account of all current legal and regulatory provisions as well as the best practices on the matter. The Vice-Presidency of Human Resources undertakes to distribute these Regulations among the Subject Persons; to this end, each Subject Person shall sign a document whose content will be identical to the model attached hereto as Appendix I. Observance of these Regulations is mandatory for Subject Persons. Failure to comply with the provisions of these Regulations shall be deemed a labor violation or contractual breach (as appropriate), whose seriousness will be determined in the proceedings to be pursued in accordance with current legal provisions. The foregoing shall be without prejudice to any other penalties for violation of Law 26,831, the CNV’s Rules and any other applicable provisions, as well as the pertinent civil and/or criminal liability to which the breaching party may be subject. The performance of the obligations hereunder shall be supervised by YPF’s Ethics Committee, Audit Committee or Internal Transparency Committee, as the case may be.